"Nuff people say, you know they can't believe, Jamaica we have a bobsled team." 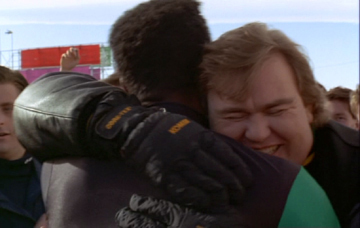 Cool Runnings is the loosely-based true story of the first and only, Jamaican bobsled team. Meet four Jamaicans who are not going to let a little thing like ice and snow keep them from winning the gold...despite the fact they've never seen a bobsled and their coach is a disgraced cheater. Hey Jamaica, No problem mon. How well do you know Cool Runnings?